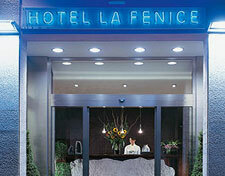 Enjoy the elegance and the comfort of a four star Hotel in Belpasso. Whether your stay is for business or pleasure, you will find the best hospitality in our Hotel. The Hotel La Fenice is part of the Platinum Hotels & Resorts, the company that owns the most prestigious hotels in Taormina Mare, the Grand Hotel Mazzar� Sea Palace and the Grand Hotel Atlantis Bay, both five star deluxe hotels. How many locations can offer you the emotion of walking on the peak of an active volcano? Breathe deeply the pure mountain air, admire the magic of a lunar landscape, view the flaming tongues of lava at sunset? The Funivia dell'Etna cableway is located on the south side of the volcano, roughly ten kilometers (about 6 miles) from the hotel. The cableway service operates all year round, allowing the exciting ascent of Etna, the highest active volcano in Europe.